You want a new TV? Okay, you look at the prices. Steep. You check out the Best Buy flyers. Prices are coming down. 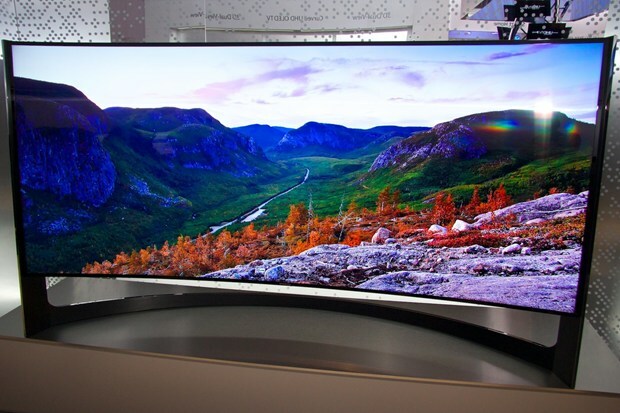 So you save up, buy a big-screen LCD, or LED, or (God forbid) Plasma TV, 1080p, 40 inches or more across. You hook it up to your cable or satellite. It looks great on the HD channels. There are more HD channels than ever. All your local programming is HD. All the premium channels, the sports, the key basic channels all in big, bright, bold, colorful high definition. It’s like having a movie theater in your living room! This is the problem. You have hundreds, maybe thousands of DVDS gathering dust on the shelf because they just don’t look that great on your new TV. You’ve spent a lot of money in the 20 years since the advent of the digital versatile disc and you don’t want to throw everything away. There’s a very good chance you won’t find another copy of “La Strada”. You do your homework, research up-converting 1080p DVD players with HDMI hook-ups for your new TV. The good news is they’re fairly cheap. The bad news is they’re not that great. They suffer the same archiving problems, the same stuttering, jarring effect of your old DVD player. Blu-Ray swoops in like Han Solo to save the day, but for a price. The first commercially-available Blu-Ray player (from Sony) cost about a grand. It was a great, clunky thing that took several minutes to load a disc. As Blu-Ray players become accepted into living rooms, the prices go down, and it is now possible to find a decent player for under a hundred bucks, but these newer, cheaper Blu-Ray players do not have RCA/composite audio/video jacks, only one HDMI output and (if you’re lucky) a digital audio out, but you have to buy all-new gear to support it. Wasting money with new technology is nothing new. How many cell phones have you owned in your lifetime? The problem is that these new technologies are rolled out before anybody knows what to do with them. I mention the composite jack problem because I’ve been looking for a Blu-Ray player to replace the old DVD player in my bedroom, but I keep a big-screen CRT (cathode ray tube) TV in there. I have my HD and my Blu-Ray player (which I love because it has a USB connection and wi-fi so I can watch almost anything I have on my computers) in the living room, and I will not let my old CRT go. The CRT TV does not have an HDMI jack, so if I shell out for a new Blu-Ray player, I’ll have to find a HDMI-to-RCA jack, not just a jack, but conversion box to decode the signals from the HDMI and make them palatable for my analog receiver! These jacks are very hard to find. You won’t find them at Best Buy for some reason. Electronics companies and retailers want to steer you away from CRT, once and for all. It’s not a conspiracy or anything. It’s just too confusing dealing with all these different formats and wires. So why not just give up on the old CRT TV? Get with the program! Buy a brand new television! Not too long ago, I took a walk with my daughter down the road to a gas station. It was rubbish removal day in our small town and at the curb of nearly every residence was a television, sometimes more than one television. For the most part, they were CRT TVs, so we played a counting game. We counted all the televisions we saw. This is a half-mile stretch of road that connects Putnam Avenue and Main Street. By the time we made it to the gas station, we had counted twenty-seven (27) televisions and I think three of them were hi-def. The basement of our new home is a graveyard for CRT televisions, and all of them work perfectly. It seems obvious people want their toys, and it makes disposing of old television sets very difficult, but considering over the last century most programming was produced for standard 4:3 CRT sets. 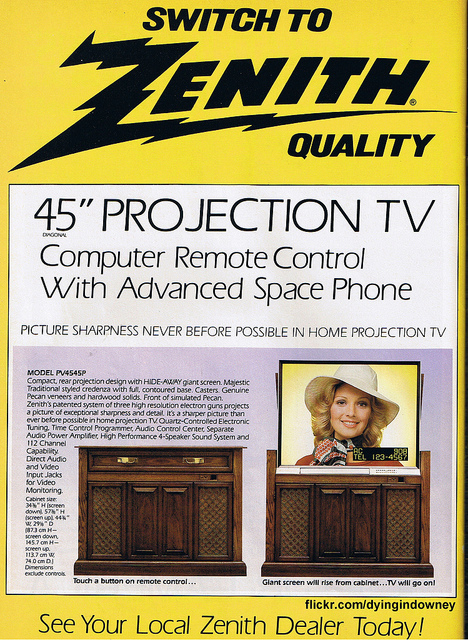 If you’re a connoisseur of old movies, television shows, and sports (in other words anything produced before March of 1997 when the first widescreen productions were broadcast), you know that most of those products look like crap on high definition screens. Chances are these shows were not given 4K transfers to HD or Blu-Ray. Only a few TV shows have taken that route (“Star Trek: The Next Generation” comes to mind, and now I hear a Blu Ray box set of The Monkees TV show will be released next year) because production costs make it prohibitively expensive to restore and remaster so many classic TV shows for a niche market of fans and pop culture junkies like me. From the late 70s up until the mid-90s, filmed television shows were immediately transferred to video and then edited from U-Matic or Betacam SP tapes which were then shipped to affiliates for broadcast. That’s where CRT comes in. It’s quite frankly the only way to truly enjoy all your favorite TV shows, even at the restricted number of pixels (480i as opposed to 1080p, but there is a reason for interlaced as opposed to progressive frames – interlacing fills in the blanks to provide a cleaner image whereas progressive pixels stick out like a sore thumb as they try to interpret DVD and video-tape signals). This is why DVDs and videotapes look better on a CRT screen. If the rise of DVD wounded the VHS market, then hi-def flat screens killed it. For a while, there was an unusual compromise with high definition CRT television. These were 1080 interlaced tubes that delivered superior picture and were able to display live widescreen television. 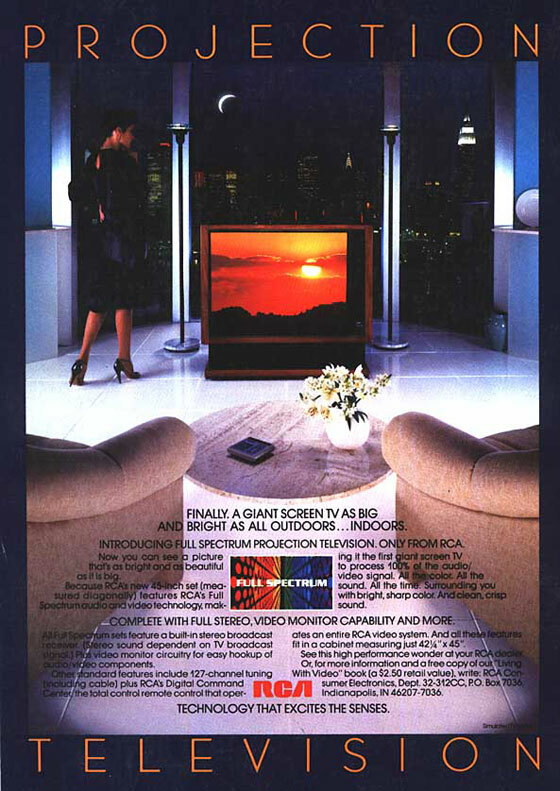 They worked perfectly with letterboxed TV shows and movies, VHS, DVD, and broadcast high-definition signals. At best, you could get the 480 lines for standard definition and up to 720p for high definition and 720p on CRT looked better than the highest resolutions produced even today. There were drawbacks. The obvious weight issue aside, there were voltage concerns and the coils would superheat. 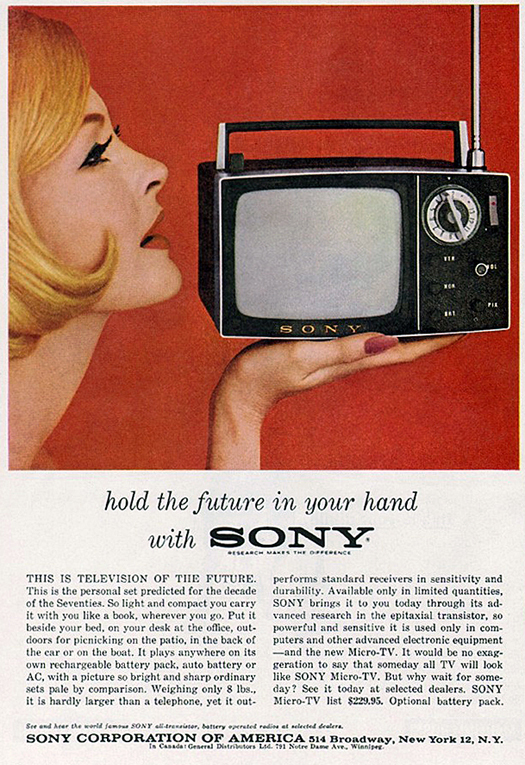 The first models were pricey and this was right before the first plasma and LCD televisions came into market. The technology was too fast for it’s own good. There was virtually no product to support these new enhancements. 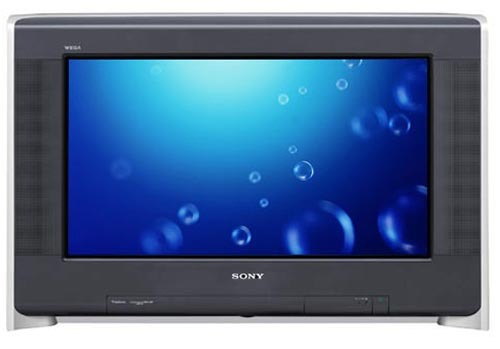 Even now, eighteen years out, DVD and Blu-Ray technology has not out-produced conventional video technology nor has it marketed the simplicity that a CRT television and a VCR can provide. Physical product is being scaled back while the popularity of downloads and streaming soars. They’ve made it more complicated, more computer-dependent, but not terribly simple. 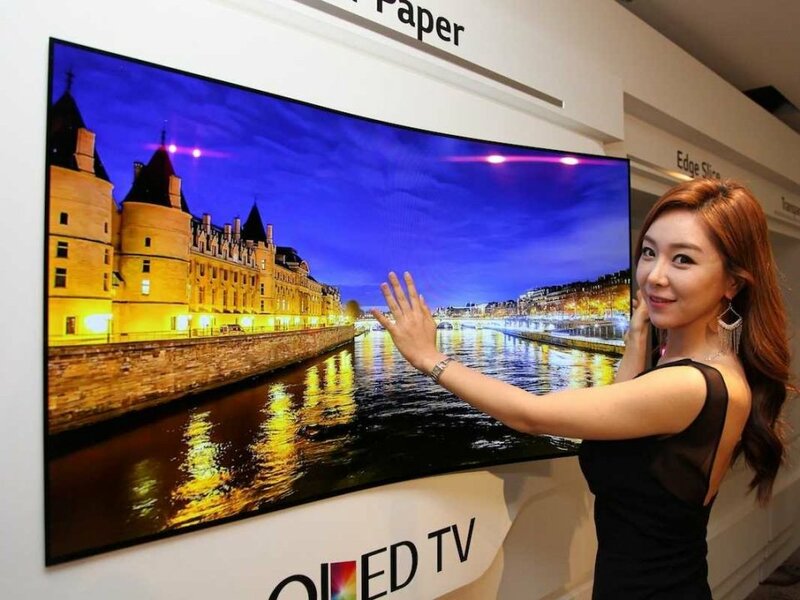 LG has introduced the “bendable” LCD screen. Paper-thin and held in place with a simple magnetic pad, this new screen will weigh ounces and offer the potential of a 4K viewing experience. Adapted to smart phone technology, we begin to see the possibilities of personal LCD screens in everybody’s back pockets. 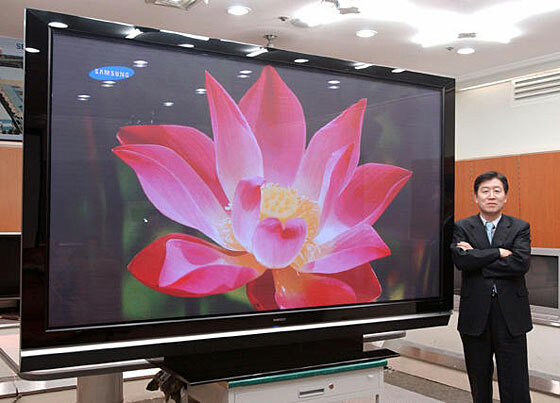 Televisions can be installed virtually anywhere. I have to admit I was extremely excited when I heard of this new development. Screens are getting bigger but it doesn’t matter. There’s only so much visual information the eye can take in and when we go to a movie theater, our eyes selectively rule out anything with limited visual interest, and now we have to do that in our living rooms. We have the 4K Ultra HD with hundreds of inches of screen space, yet our homes are getting smaller. Is there a point to this? Why, I think not! 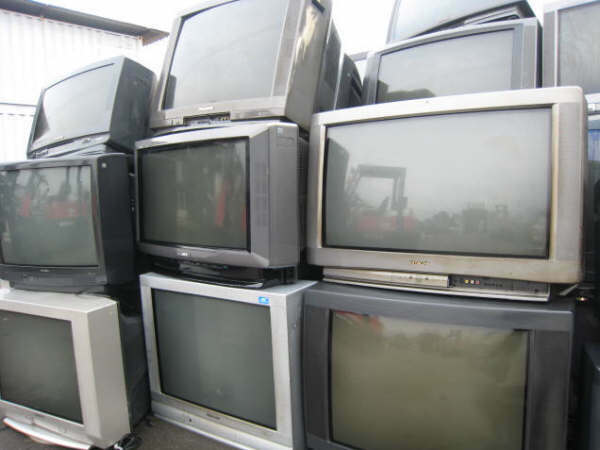 It doesn’t ultimately matter because we need our toys and we will continue to purchase our toys, and scores of newer high definition televisions will join their CRT counterparts piling up in landfills across the country. Originally published October 31, 2014 in VHS Rewind!